Nothing screams Natural Beauty like bareing some skin during the summer. We all love to wear sandals and all types of open toe shoes or even go bare foot at the beaches and pools. But before you go baring it all and going natural you have to prep both your skin and feet. Tree Hut products are perfect for just that. 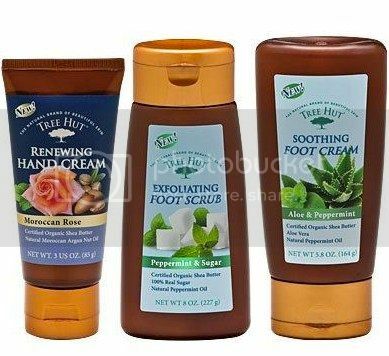 Tree Hut Hand and Foot care products are developed to keep hands and feet feeling smooth and healthy. What makes these products different than other products out on the markert is the Certified Organic Shea Butter and Natural oil extracts that make your skin smooth and soft.